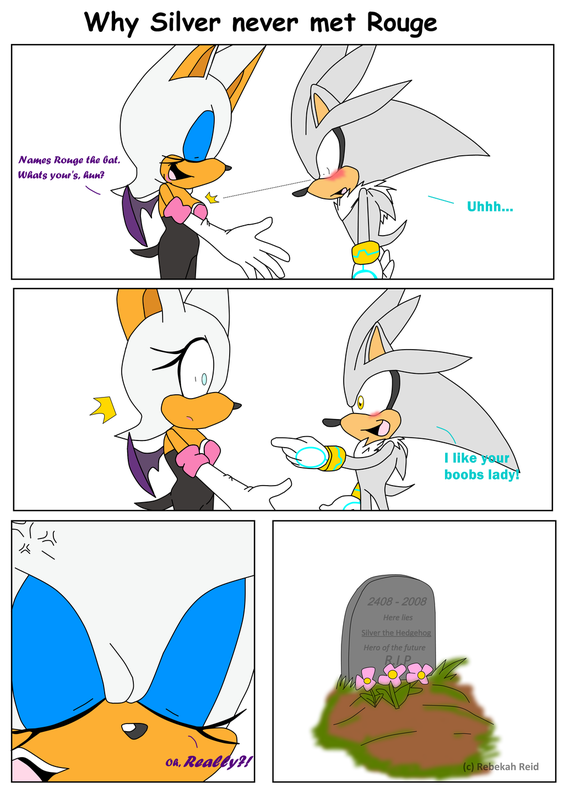 why silver never met rouge XD. funniest...comic...ever. HD Wallpaper and background images in the Sonic the Hedgehog club tagged: sonic hedgehog silver rouge. This Sonic the Hedgehog fan art might contain venn diagram, venn's diagram, anime, comic book, manga, and cartoon. Hilarious. Hahahahahahahaha!!!!!!! Can't stop laughing. I never really liked Silver. I always thought he sounded gay because his voice was pretty high. Great job!